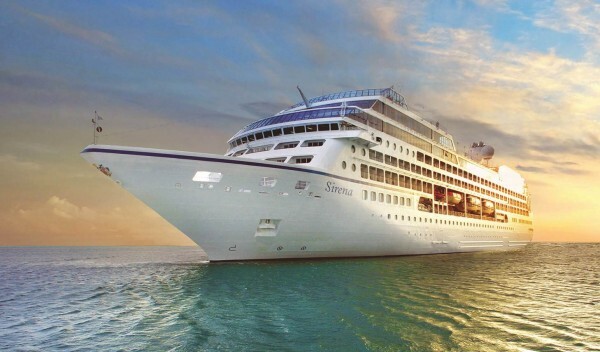 Oceania Cruises has unveiled its summer and fall 2016 schedule, which includes the Sirena, its new 684-passenger ship that enters service April 27, 2016 with a Barcelona to Venice voyage. In total, Oceania’s 2016 summer and fall features 121 sailings, 90 new itineraries; 50 of which are extended journeys, and 20 ports not previously visited by the line. The now six ships Oceania fleet will sail to more than 240 ports in over 70 different countries, including several overnight stays. After undergoing an extensive bow-to-stern refurbishment, the Sirena (the former Ocean Princess) will emerge with the “style Oceania guests love,” according to the cruise line. This will include the specialty dining restaurants Toscana and Polo Grill, along with more recent additions to the fleet such as Baristas and the cook-to-order grill Terrace Café. Among the new itineraries is a 17-night sailing aboard Marina from Buenos Aires to Valparaiso. Seven new so-called Grand Voyages are offered, ranging from a 90-night round-trip journey from Miami to a 40-night Vancouver to Montreal sailing. The 90-day Grand Voyage from Miami will explore destinations in North America, fjords in Greenland, other locales in the Mediterranean and “lands” in Africa, including stops in less traveled ports such as Algiers. The 40-night Grand Voyage from Vancouver to Montreal will visit ports on both coasts of North America including stops in Nicaragua, Costa Rica, Panama and Colombia plus a Panama Canal crossing. New ports of call include Ensenada, La Paz and Manzanillo in Mexico; Catalina Island, California; Gaspe and Havre-Saint-Pierre on the Saint Lawrence River; and Trieste in Italy.